I think it’s all about relevance. If John and Trishna are on a road trip through Trishna’s family history and the come across some relevant fact about one of her great-great-great-grandparents, then, certainly that is important ground to cover. Knowing an extensive history about the spouse of this individual, their favorite foods, and what they did in their spare time is narratively excessive. Certainly, however, that should be in a character bible or as part of the Iceberg theory, right? If that idea has a narrative purpose. That’s where I think it’s important to follow pre-existing rules and guidelines for writing until we find the points that are suffocating us. If we spend too much time perfecting our character’s attributes, habits, and personality quirks, then when it comes time to throw them into scenarios, we have to meticulously think about how this and that will happen. This could be my own naïvety as a writer, but, I like to have the characters tell me about themselves. Sure, they lie. But they also surprise me. I doubt assigning arbitrary facts to John or Trishna will flesh these characters out as much as imaginarily inviting them to a cemetery in Sindia where Trishna can read the gravestones of long-passed relatives. How would she react? How about John? Certainly, without basic character traits, I wouldn’t know for sure, but there are certain surprises that happen when I just let hypotheticals like these loose in The Story’s Imaginarium even for a quick brainstorming. John might be more interested than Trishna. Comparing and contrasting character traits. It’s easy creating ideologically different characters. In Keyboard Kommander, the Orthographimancer is all about the perfection of language, so therefore, the Kommander should be about the conveyance of language. That should contrast two distinct linguistic schools of thought. 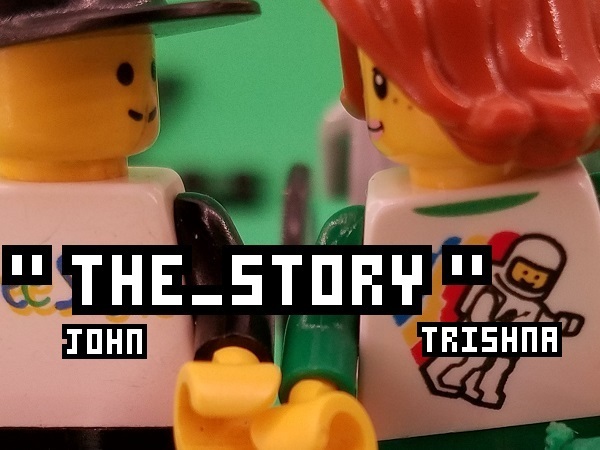 I want “The Story” to be much more nuanced. Why can’t both be interested in Trishna’s genealogy in different, subtle, degrees? John’s genealogy is unclear, so I’ll develop that later. I don’t want superfluous facts getting in the way of the storytelling. Sources: The Story’s Imaginarium. My week-long trip to visit relatives, including going to assorted cemeteries. I HATE WORLDBUILDING. Inspirations: Conversations about the character bible for characters in Keyboard Kommander. Naturally, it would be good to have started a character bible for John and Trishna, well, 15 years ago, right? Well, these characters changed…!